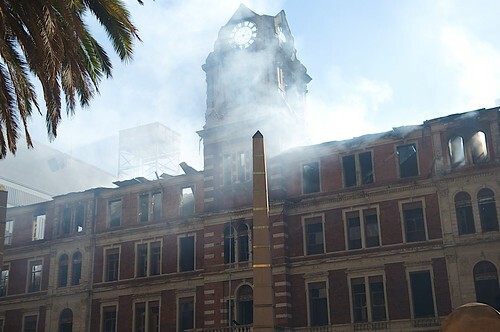 A high quality version of one of the photos I captured last night as the Johannesburg CBD Post Office was burning down. What a horrible, horrible experience. More photos at The Daily Maverick; and click here for a video of the inferno. 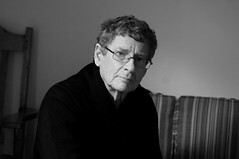 Henry Chakava is, quite simply, an outstanding publisher and a great man. He is one who has never hesitated to innovate, and who uses his instincts and knowledge to develop the enterprise of book publishing in Africa seemingly round-the-clock. Among other things, he has invested heavily in the publishing of educational books, and through his children’s series has served East Africa’s community of children with literature in both English and their own languages. Join me on the Victor Dlamini Literary Podcast as I chat to a man whose life’s work is bringing books to readers across many parts of the African continent. This episode with Lebo Mashile – our second together – marks a first for the Victor Dlamini Literary Podcast: it’s the first one I’ve ever done “live”, in front of an audience. The audience in question comprised those who turned out, in large numbers, to witness the launch of Lebo’s second collection of poems, Flying Above the Sky, earlier this month. What a night it turned out to be, with Lebo first delivering a powerful and deeply felt recital. As she took hold of the mic at at Johannesburg’s Dance Factory, she planted her feet firmly on the ground – then transported us to a soaring world. Her poetic vision lifted our consciousness, dislodging preconceptions and beliefs and replacing them, sometimes with doubt, but as often with hope. After the performance, Lebo graciously invited me to join her on stage to chat to her about her new work, and I recorded our conversation. Tune in as I chat to this extraordinarily talented poet with a fiery voice.